Early this year , military intelligence agents and prosecutors showed up at a white, single-story farmhouse here in southern Taiwan and told Lo Hsien-sheng that they needed to search the premises. They hunted in sacks of rice, burrowed in the garden and checked the chicken pen. “They said they were looking for money,” recalled Lo, a 52-year-old retired soldier whose younger brother — a senior officer in the Taiwanese military — had just been arrested in Taipei, the capital, and charged with spying for China. The search was part of a frenzied effort to answer questions deeply troubling to not only Taiwan but also Washington: Why did a successful and seemingly loyal officer in a military rooted in hostility to the Chinese Communist Party turn against his country, and what secrets did he betray? Until his arrest in late January , Maj. Gen. Lo Hsien-che ran the army command’s communications and electronic information department. This put him at the heart of a command-and-control system built around sophisticated and highly secret American technology that China had been trying to get its hands on for years. Lo’s spying on behalf of Beijing, which went on for at least seven years, has stirred deep unease, not only because he had access to secrets but also because of his background. 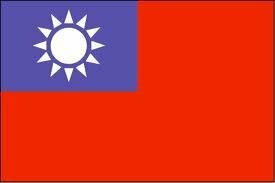 The son of a Kuomintang (KMT) soldier who fled to Taiwan in 1949 to escape Mao Zedong’s victorious Red Army, Lo grew up infused with the values that dominate the military establishment of Taiwan, also called the Republic of China. But what those values are, exactly, has become increasingly confused in recent years as democracy has shaken old certainties and exposed deep divisions between those who favor rapprochement — and even reunification — with the mainland and rivals who want to keep Beijing at arm’s length. Lo’s motives for spying, said Andrew N.D. Yang, deputy minister of national defense, are under investigation. “It is a jigsaw puzzle. We haven’t reached the final stage yet,” he said in an interview in his office, the walls plastered with military maps of Taiwan and mainland China, which lies just over 100 miles away — and claims Taiwan as its territory. The case has come at a particularly sensitive time for Taiwan, which will hold a presidential election in January and has spent recent months frantically lobbying Washington for new warplanes. The Obama administration last week unveiled a $5.8 billion arms package for Taiwan that includes sophisticated radar and other equipment to refurbish an aging fleet of F-16 A/B jets. But the White House shows no sign of approving a long-standing request by Taipei for new, more advanced planes.